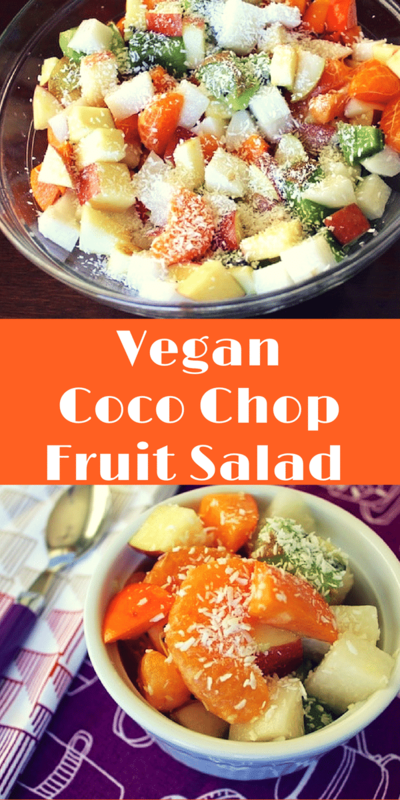 This Coco Chop Fruit Salad is a fancy name for fresh fruit with dried, shredded coconut sprinkled on top! I pulled it all together with fresh lime juice. It’s a healthy and delicious easy dessert. This post is to share a super simple healthy recipe for you that can be a dessert or a snack using a secret ingredient: jicama! I thought since we are getting near the time of year when luscious, decadent desserts reign supreme, it might be nice to have an easy, less rich dessert option. But once you peel off the skin and chop it up, its creamy white flesh hides beautifully in the fruit salad. And, jicama is meant to be served raw! It’s natural in flavor, full of healthy fiber, and blends beautifully into whatever it’s served with. I used some characteristic fruits of fall for the salad including persimmons, apples, and pears, with some sweet additions like mandarin oranges and kiwi. The jicama adds bulk, unsweetened dried coconut adds richness, and a splash of fresh lime juice pumps up the flavor. Peel the mandarin oranges and divide into segments, placing them into a medium-sized mixing bowl. 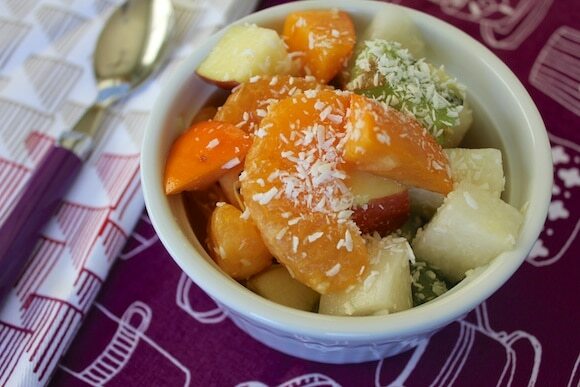 Chop the apple, persimmons, and pear into bite-sized pieces and add to the bowl. Carefully cut away the peel from the kiwi and slice the fruit. Add to the bowl and use a large spoon to combine the fruit. 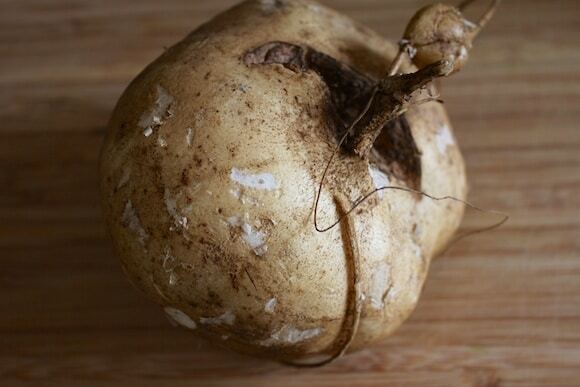 Rinse any dirt of the jicama and use a vegetable peeler to peel off the skin. Chop the jicama into bite-sized chunks. Juice the lime and pour the juice over the fruit. Sprinkle the coconut on top and stir well to combine. Feel free to make adjustments for the fresh fruit you have on hand. I love the app Carrie and it definitely shows that you’ve put so much effort into it. I’ll most definitely leave the review. Everyone needs to make that PB & J Pie! 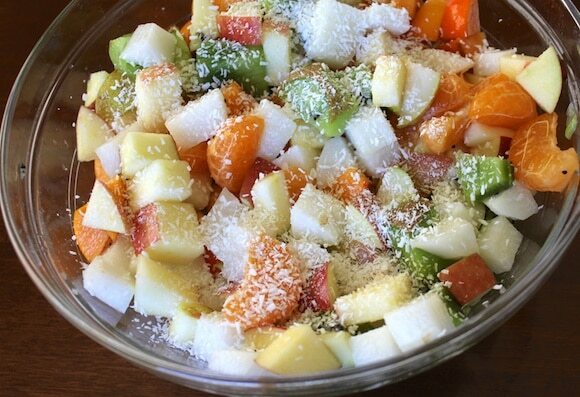 The fruit salad looks lovely and fresh, though jicama sadly isn’t the easiest to find in these parts. Thanks, Emma! It means so much to me that you like the app. I thought your review on your blog was awesome and really appreciated your support. Thank you for the review on the App Store, too!!! 🙂 P.S. If I could send you one of my ugly, yet delicious, jicama, I would, but I don’t think it would survive the journey, ha ha. This looks so yummy, but I have yet to find jicama in Canada 🙁 I have never tried permissons either; what do they taste like? Hi Carrie- I love your site but use an Android based phone. Are you planning on releasing Vegan Delish on Android at some point in the future? I would love to have this app! Thanks again for all your posts and wonderful recipes! That’s great! I only have a few vegan/recipe apps on my phone: All Gone Vegan, a recipe app (I think I paid $1, but it isn’t a good app), Animal-Free, Cruelty-Free, Vegan Peace, and PETA were all free. I do have a few personal training apps such as Personal Running Trainer and You Are Your Own Gym that I’ve paid a few dollars for each. I’m not sure what the cost of the Vegan Delish app is on the iPhone, but I’m sure us Android users would be willing to pay the same amount! Congratulations on the birthday of your app. You’ve put so much hard work into it and it shows – it’s amazing! First of all congratulations on the birthday of your app! I for one love it and I will make a note to go do a review! 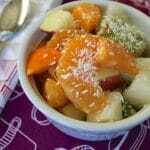 What a clever recipe name – and I never thought to add jicama to a fruit salad – love that it adds crunch and volume. I will have to try that. I sometimes I set up a fruit salad sundae bar – it consists of a big bowl of fruit salad and then vanilla soy yogurt and a variety of toppings that include, coconut, nuts, chocolate chips, granola, dried fruit, pomegranate perils, crunchy dry cereal flakes, ground flax seeds, chia seeds and anything else I find in the pantry. It’s a big hit with everyone and so healthy! Hi Tami! I’d love to see a review from you for Vegan Delish. Just a note because some people are confused, the review that is most important is the one on the App Store, not the one on the app for individual recipes, if that makes any sense. Let me know if you run into any problems. Your fruit salad sundae bar is a brilliant idea! This is an amazing app and you should totally be proud of it! It’s definitely the best recipe app out there. Though I love the app the way it is (of course! ), I am interested to see an android version in future. Thank you for making this most awesome app Carrie! 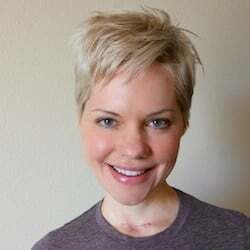 Hi Carrie – I really love your site and visit frequently. When you get an Android app I’d be happy to purchase it. Great for a sweet, healthy potluck dessert. Interesting recipe. I love it! Thanks for always sharing, Carrie!